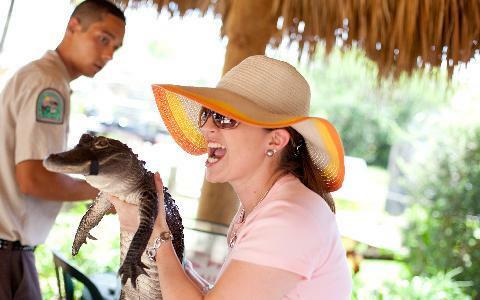 Airboat tour, alligator show, exhibits, & park included in one ticket. To go, pick a date & book online, or call (305) 260-6855. 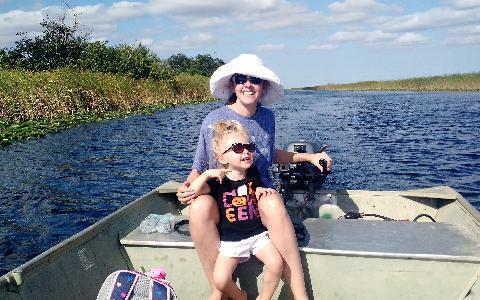 Explore the glades with an exciting airboat tour and wildlife show at the Everglades Safari Park. This family-friendly adventure blends education, beauty, and safe thrills, earning glowing reviews from guests. It's meant for people who want to drive themselves to the park and save. This activity takes place at Everglades Safari Park on Tamiami Trail - 27 miles west of Miami Airport. If you need a ride, select another tour. The Park is open every day from 9am to 4pm. Boats depart every 25 minutes. Can I buy tickets from my hotel? What are the driving directions from Miami? What are the driving directions from Fort Lauderdale? What are the driving directions from the Florida Keys? 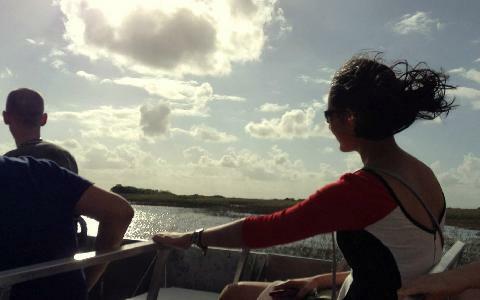 Create your own experience on this semi-private Everglades tour from Miami. The tour starts at 2pm at Bayside Marketplace.